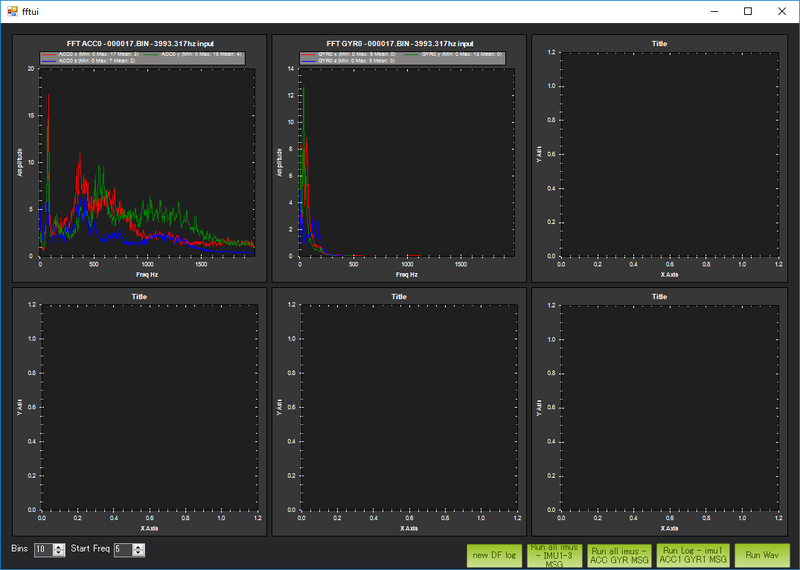 The IMU BatchSampler can be used to record high-frequency data from the IMU sensors to the dataflash log on the flight controller. This data can be analysed post-flight to diagnose vibration issues using graphs created from Fast Fourier Transforms (FFT) of the data. 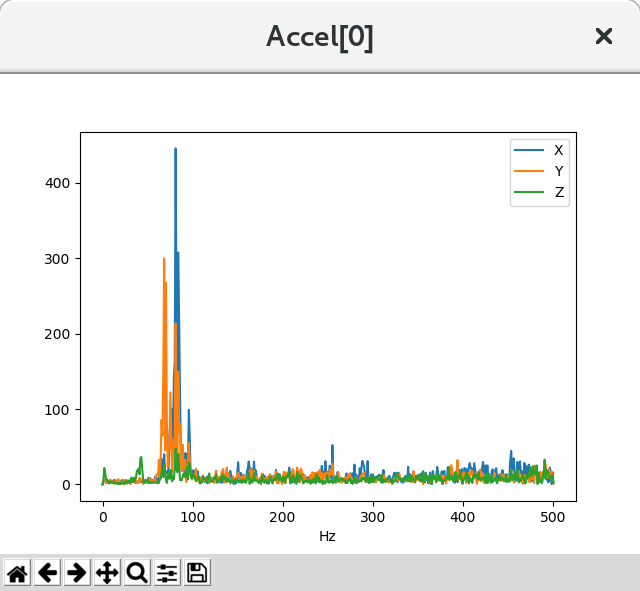 Accelerometer data appears in the top left window with the vertical access showing the amplitude and horizontal axis showing the frequency. 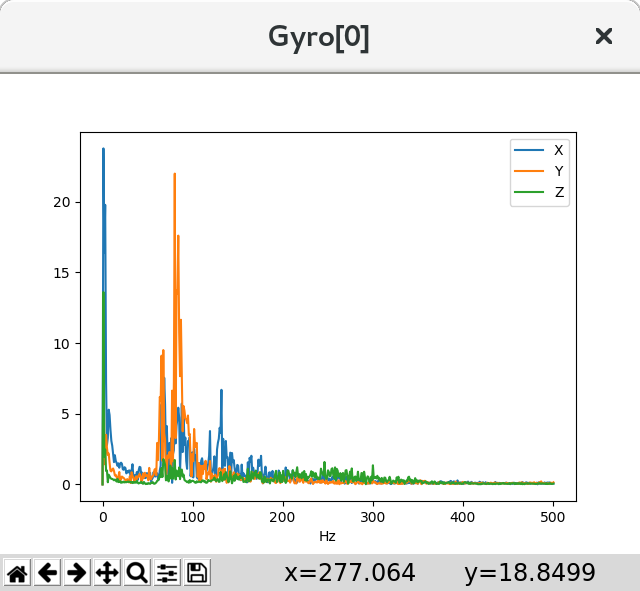 The amplitude is not scaled to a useful value meaning the graph is useful for determining the frequency of the vibration but not whether the levels are too high or not. Vibration at frequencies above 300hz may lead to attitude or position control problems. There are two types of dataflash log messages involved in batch sampling, ISBH and ISBD . ISBH is a batch header; it includes a batch number and metadata about the batch. ISBD messages contain the actual data for the batch, and reference a header by batch number. This output shows mavfft_isb.py extracting data from a single-IMU multicopter log. This multicopter frame clearly shows vibrations in the 80Hz range. 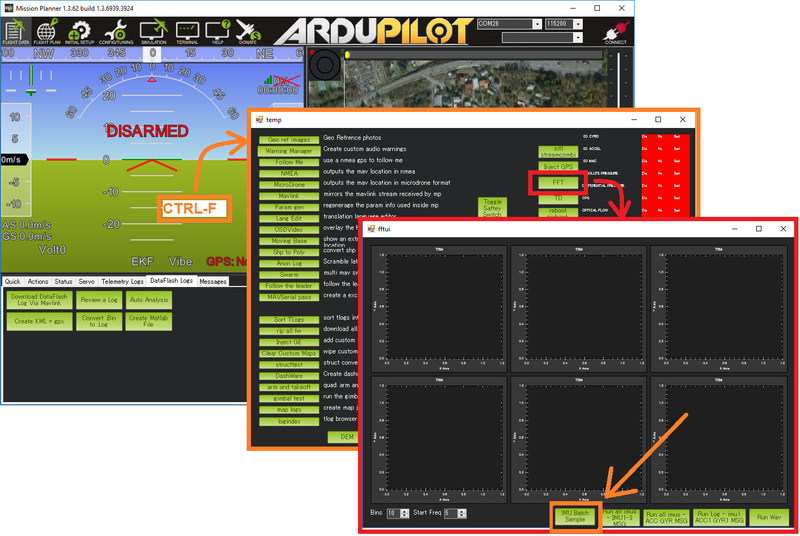 This multicopter frame clearly shows rotational vibrations in the 80Hz range.